Historical references to hotels in Cramahe are confusing. Aileen Argyris in “How Firm a Foundation” (2000) mentions several, but usually without any specific dates. The discussion presented here is an attempt to clarify the history of these hotels. Available sources provide enough information to get a pretty good idea of what went on during the second half of the 19th Century, but things are rather hazy both before and after that period. Other sources of information are probably out there, especially for the 20th Century, but the discussion presented here is intended as a starting point. Any further information about any of these hotels would be appreciated. Joseph A. Keeler at one point owned most of what would become Castleton. In 1864 he transferred the land on which this hotel stood (Castleton Lot 25 on the northwest corner of Percy and Spring streets) to Oliver Gaffield (1799-1873). When Gaffield died the property went to his daughter Irena (1836-1908), who was married to George Welton (1835-1903), a Castleton innkeeper. According to the Gazetteer and General Business Directory of Northumberland and Durham (as cited by Argyris, 2000), Welton was the proprietor of the “Farmer’s Hotel” in Castleton in 1865. As mentioned above, Argyris also indicates that there used to be a hotel on this site (in the now vacant lot just south of the Castleton town hall). Given the Welton connection to both, these were undoubtedly the same hotel. This means that a hotel appeared on the site during (or before?) the ownership of Oliver Gaffield, and it was the hotel that was passed on to his daughter, the wife of the man who ran it for him. Welton was listed in an 1871 gazetteer as the proprietor of the “Welton Hotel”, again undoubtedly the same establishment. Note that this hotel sat directly across Percy Street from the Temperance Hotel (see below). The Weltons, Stephen Edward Fuller (1851-1918), and Oliver Gaffield’s widow Rhoda (1801-1886) sold the property to Seth Burr Gould (1816-1891) in 1874. Gould was a farmer. Almost exactly a year after he purchased the property, Seth Gould sold it to Louisa Vosburgh (?-? ; maiden name unknown), wife of Wallace Vosburgh (?-?). The fact that Wallace Vosburgh was another innkeeper suggests that the hotel on Lot 25 was still functioning at this in 1875. In 1876 the Vosburghs sold the property to Matthew Winter (1821-1910), a Haldimand Township farmer. James Scougale (1821-1890) of Colborne acquired it from Matthew Winter five years later in 1881. James Scougale died in 1890 and the next year his widow Mary Ann (1828-1906; née Robson) sold the property to Jane Gaffield (1834-1915; née McEwen), the wife of Jonathan Gaffield (1832-1918), who was himself the son of the Oliver Gaffield who originally bought this property from Joseph Abbott Keeler 46 years earlier. In 1892 Jane Gaffield sold the northern part of Lot 25 to the Corporation of the Township of Cramahe. The current township hall was built on that part of the property that same year. The southern part of Lot 25 went to Nathaniel Stanley Gaffield (1852-1916), in 1894. This Gaffield was the son of Jonathan and Jane Gaffield and the Grandson of Oliver Gaffield. Nathaniel Gaffield sold the property to George B. Tait (1880-?) in 1909 and Tait owned it well beyond the 1921 cut-off for this analysis. Tait was obviously the owner of “Tait’s Snack Bar” mentioned by Argyris (see above). 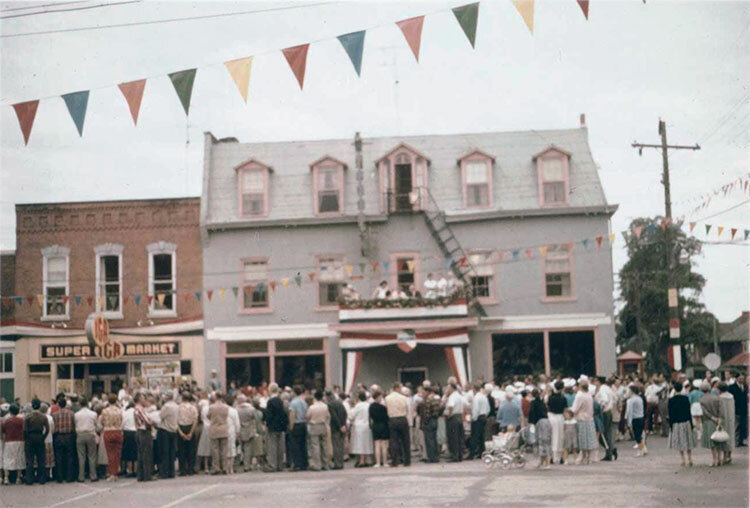 Figure 1 shows the Tait’s Snack Bar building, probably in the 1950’s judging by the car at the right edge of the photo. Likely this wasn’t the original hotel building, and it is unclear from ownership history whether or not it was ever itself used as a hotel. The only occupations found for Jane or Nathaniel Gaffield or for George Tait were “merchant” or “storekeeper”. Probably the hotel went defunct sometime between 1874 when it was owned by hotel keeper Wallace Vosburgh and 1891 when it was purchased by Jane Gaffield. The owners in the interim were not Castleton residents and were not, as far as can be determined, involved in the hotel trade. Joseph Abbott Keeler (1788-1855) sold Castleton Lot 5, on the northeast corner of Percy and Spring streets, to Orilla Weller (1817-1885, maiden name unknown) in 1848. Orilla’s given name is a little unclear: all land office records and some genealogies spell it “Orilla” but other genealogies spell it “Arilla” and her death record spells it “Aurillia”. Whatever her first name was, she was the wife of Gilbert Weller (ca. 1809-?). How Firm a Foundation (Argyris 2000) states that the a hotel “variously known as the Orient, the Temperance, the Castleton, and the Union Hotel” was built on this site in 1890 (Figure 2). However, almost all of the post-Keeler owners of Lot 5 were innkeepers, including Gilbert Weller who through his wife obtained the property in 1848. In fact a hotel in some form may have predated even 1848, because Gilbert Weller was already a Cramahe tavern keeper when his wife obtained the property in that year. So, although the current building may have been built around 1890, there apparently was a hotel on the site long before. A year and a half after they bought it (12 March 1850) Gilbert and Orilla Weller sold the property to Donald Campbell (1811-1892). Campbell was a resident of Colborne, not of Castleton. Since Campbell sold the property back to the Wellers in 1860, it is likely that they continued to manage the hotel through Campbell’s tenure as owner. suggesting that McHugh probably managed the Marion Hotel and paid Weller to do the same for the Castleton Hotel. John McHugh and his wife sold the property to the Temperance Hotel Company in 1869. The company owned the hotel until 1874. The manager in 1871 was Andrew White Simmons (1831-1921) who was a first cousin of prominent Colborne businessman Daniel Lewis Simmons (1830-1915). The Temperance Hotel Company sold the property to Thomas English (?-? ), an innkeeper from Lindsay in Victoria County, in 1874. English owned the hotel for less than a year, selling it in 1875 to Jonathan Wolfraim (1835-1878). At the time of this sale English was a resident of Castleton, so apparently he ran the hotel in person Jonathan Wolfraim was a farmer when he purchased the hotel, but he proceeded to run the hotel himself. His wife was Mary A. Vosburgh (1841-?). It is tempting to suppose a relationship between her and the Vosburghs who owned the owned to hotel across the street at this time (see above), but unfortunately none has yet been found. In 1876 Jonathan and his wife Mary sold the hotel to Jonathan’s younger brother Hamlet Wolfraim (1837-1904), a Castleton butcher. Hamlet quickly sold it back to Mary. Jonathan Wolfraim died in 1878 and Mary, now a widow, transferred ownership to another of her deceased husband’s brothers, Oliver (1830-1904). Oliver was listed as a farmer in the records of both his purchase and his sale of the property, so there is no evidence that he never ran the hotel himself. He only owned it for 3 months, selling it in 1880 to Frederick N. Hitchins (1827-?). Frederick Hitchins was already listed as a Castleton innkeeper when he purchased the property in 1880, but whether he was a previous employee of the Temperance Hotel or was involved with another establishment before he purchased Lot 5 is unclear. In 1886 Hitchins sold the hotel back to Hamlet Wolfraim, by now a farmer, who became the proprietor. Hamlet Wolfraim sold the Temperance Hotel to James Flaherty (ca. 1860-?) in 1890. Although he is listed in both the purchase and sale records for the Temperance Hotel as a resident of Hamilton Township, he appears in the 1891 Cramahe census as a hotel keeper, so apparently he was resident of Castleton for a time. Only briefly, however, because he sold the property to John Lawson Gerow (1821-1906) in 1891. Gerow was a farmer who in his later years owned numerous properties in and around Castleton. It is doubtful he ever acted as hotel keeper. It is possible that the proprietor during at least part of Gerow’s period of ownership was Ziba Harnden (1843-1925). Gerow sold the property to him in 1893, at which time he was already listed as a hotel keeper. Of course it is also possible that Harnden worked in another hotel before purchasing the Temperance Hotel. In fact he was married to Jessica Laing Broomfield (1846-1915), older sister of George Broomfield (1855-1929), proprietor of the Windsor House Hotel in Colborne (see below). Ziba and Jessie Harnden sold the hotel to the Castleton Hotel Company in 1907. This company retained ownership until 1919 when it sold the property to Hamlet Wolfraim’s son John Edward Wolfraim (1860-1927), who had been proprietor since at least 1908 (Canada Directory entry referenced by Argyris). John Wolfraim sold the hotel to his brother William Henry Wolfraim (1863-1942) on 8 January 1921, and a year later William sold it to his (and John’s) half-brother Andrew Wolfraim (1886-1968). Andrew continued to own the property until the 1960’s, long after it had ceased to function as a hotel. Since the hotel was still called the Temperance Hotel in 1908, but was the Orient Hotel by about 1920, this suggests that the name was changed either by the Castleton Hotel Company, by John Wolfraim or by one of his brothers. The change to “Union Hotel” must have happened under the ownership of William or Andrew Wolfraim. Two references have been found to the construction of the current structure on Lot 5. Argyris states that it was built by Timothy S. Giroux in 1890 and an article written in the Colborne Chronicle in 1978 (author?) suggests that it was built by Will Gerow in 1882. Neither man ever owned the property. 1882 was in the midst of Frederick Hitchin’s period of ownership and in 1890 the property changed hands from Hamlet Wolfraim to James Flaherty. Of course the builder of the building and the owner of the land on which it stands weren’t necessarily the same person. “Will” Gerow was Wilmot Allen Gerow (1855- 1919), a resident of Castleton who was indeed listed as a hotel keeper in 1893. He was the son of John Lawson Gerow who owned the property from 1891 to 1893. So Wilmot Gerow may have had a hand in the building of the current structure on Lot 5, but it was more likely in 1892 than 1882. The alternative story has Timothy Giroux building the hotel in 1890. No reference has been found to a Timothy Giroux in Cramahe censuses or in available records of Castleton hotels, other than the one in Argyris. Timothée- Stanislas Giroux (1824-1903) was born in Montreal was an innkeeper in Percy Township by 1878. In 1891 he was listed as an innkeeper in Peterborough. The former Keeler Tavern is now a private home, sitting on the northeast corner of the intersection of the modern King and Parliament Streets in East Colborne (Figure 3). Nobody knows exactly when this tavern was built. The Danforth Road from York (Toronto) to the Bay of Quinte followed the line of modern Highway 2, at least in the vicinity of what would later be East Colborne, and was completed in 1800. It was replaced in 1816 by the Kingston Road, which followed the same route in the area. According to a 1984 article from the Colborne Chronicle by Walter Luedtke, the tavern was built in a style popular from 1810 to 1840. It’s just speculation, but a reasonable guess would be that the inn was built at about the time the road from York to Kingston opened. Stagecoach service between the two towns began in 1817, providing business. The tavern is probably not much younger than 1820, because a coin from that date has been found on the premises. Also, it is referred to in the diary of Phoebe McCarthy Roberts (1766-1850) who passed through Colborne in 1822. James Pattison Cockburn (1779-1847) made a watercolour sketch of the Keeler Tavern (Figure 4). Argyris dates this sketch to “ca. 1830”, but Luedtke places it in 1839. This latter date isn’t possible, however, because Cockburn, a military man, had two tours of duty in Canada, one in 1822 and 1823 and the other from 1826 to 1832. He was back in England by 1839. It was during his later visit to Upper Canada that most of his artwork was produced. Mrs. Dalton Hetherington in an article written in 1952 and included in the Womens’ Institute Scrapbook refers specifically to the date 1830. There are two stagecoaches sitting in front of the building in Figure 4. The pole in the centre foreground holds up the tavern sign, but the sketch doesn’t provide enough detail to see what the sign looked like. It is interesting to note that there is a road leading off to the north on the right side of the sketch (east of the inn). Modern Parliament Street (formerly Furnace Road) is on the west side of the building and no road currently exists where the one in the sketch is illustrated. Interestingly, though, the driveway for the modern house just east of the Keeler Inn (173 King Street West) lies just about where this road is portrayed in the sketch, and in aerial photographs one can see that the grass in the yard behind 173 King Street (just beyond the inn in the 1830 sketch) is of a different texture in a swath extending northward from the driveway. There is then a line of trees lined up with this driveway/disturbed lawn and heading northward. Reuben Scott (1792-1872) had an iron foundry to the north of the inn and it was probably there before he bought the property from Titus Simeon Merriman (1806-1886) in 1832. It would have been in the trees behind and to the right of the tavern in the painting. The road on the right side of the sketch was probably the road to that foundry. If this is the case, however, one would wonder if Furnace Road was yet present: why would there have been two roads leading to the foundry? An analysis of the sketch addresses this question as well. To the left of the inn three buildings are visible in the distance. These are too far away to be inn outbuildings, and likely are on what would later be Reid Lots 196 and 197 on the west side of Furnace/Parliament Road. None of them still exist. Although a road can’t be definitively made out in the sketch, these three buildings seem to form a line leading northward, and access to them would probably have been from a road leading in that direction. Access especially to the farthest of these buildings directly from the Kingston Road would have made no sense. So Furnace Road probably was there when the sketch was drawn. The inn was built by Joseph Abbott Keeler (1788-1855), but the property on which it stands (later called Reid Lot 202), never belonged to him. It, along with the rest of the 200 acres of Concession 2, Lot 28, was granted by the Crown to Reuben Crandell (1761-1853) in 1806 and Crandell sold the southern 100 acres to Sanders Hodges (1767-1820) in 1811. After Hodges died in 1820 the property passed to his son Schuyler Hodges (1798-1845). The younger Hodges quickly sold them to George G. Kent (?-?) in 1820, after which he, Schuyler, moved to Michigan. He would later become a prominent early citizen of Pontiac, Michigan. In 1820 and 1821 ownership of Lot 202 passed from Kent to David Pearson (1794- 1841), then to Jacob Loomis (ca. 1790-?). Loomis held the property until 1832 when he sold it to Titus Merriman. At some point there must have been some legal difficulties, because the next transaction for which there is a record was in 1844 when the southeastern corner of Lot 28, Concession 2 was sold by the Northumberland County Sheriff to Edmund Fuller Murney (1811-1861), a Belleville lawyer. From Murney, the property went to William Sherwood Buell (1791-1865) in 1848. Buell sold it to his step- daughter Maria Ewing Powers Strong (1820-1905), the wife of customs collector James Stewart Strong (1815-1896), in 1852. Luedtke suggests that by this time the building was no longer an inn but instead used by the Strongs as a private residence. One wonders when the tavern went defunct. Perhaps it had something to do with the legal situation in 1844? Ira Hodges (1804-1866) was listed as an innkeeper in the 1842 census. Interestingly, although no actual genealogy outlining it has been seen, Ira Hodges was clearly closely associated with, and probably related to, the Sanders and Schuyler Hodges who owned the land on which the Keeler Inn was built. This is suggested by the fact that two of Ira’s sons were named Schuyler and Sanders. Is this circumstantial evidence that Hodges was once the proprietor of the Keeler Tavern? Isaac Welton (1797-?) was a long-time Cramahe resident, listed in censuses from 1819 through 1871, generally as a farmer, although the 1842 census and Land Office records from 1844 and 1845 list him as an innkeeper. 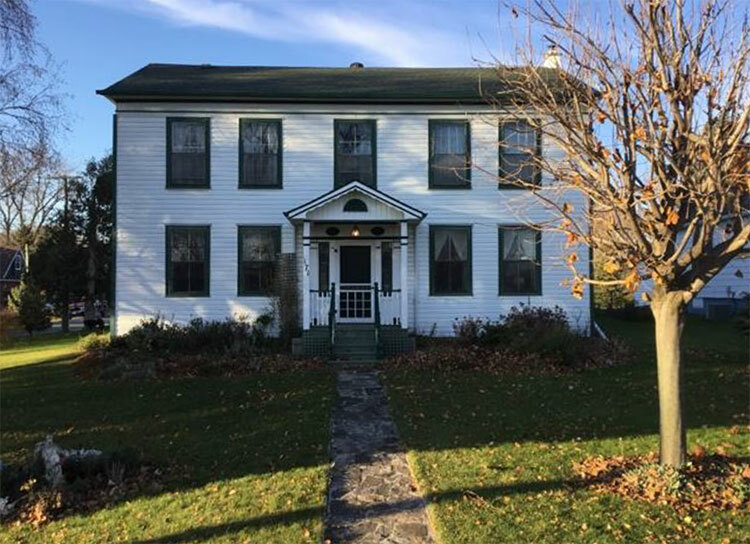 All the property he owned was in East Colborne, so he may also have been proprietor of the Keeler Tavern, or perhaps of the Hayes House (see below). 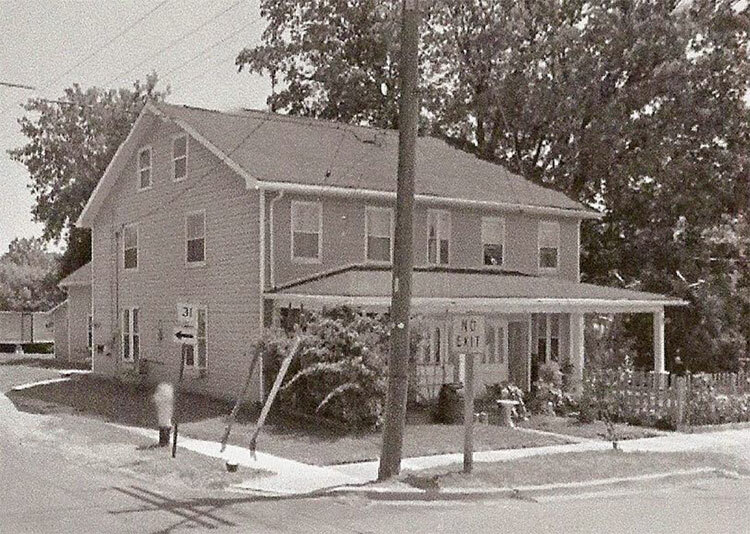 The first hotel that we know of in the Colborne area was the Keeler Tavern, but in the Women’s Institute Scrapbook there are articles by Mrs. Dalton Hetherington (1952) and Eileen Argyris (1990) that suggest that the “Morton House” at 152 King Street, may have been “a coach stop in pioneer times” as well. Margaret McBurney and Mary Byers in their 1979 book “Homesteads: Early Buildings and Families from Kingston to Toronto” discuss this house at some length. It is supposed to date from the era of the War of 1812, and in fact local folklore has it that it was used for barracks during that conflict. Until 1828 the house was on Crown land; after that it was owned by Kings College, the predecessor of the University of Toronto. The theory that it may have been used as an inn is apparently based on the fact that “the door in the second-story verandah [was] a feature typical of inn construction”. McBurney and Byers certainly are less than adamant in their claim that the house was an inn, though. Their summary sentences, which are anything but conclusive, were: “In view of the style of construction and location— right on the Danforth Road—could it have been used as an inn? To take speculation one step further, could it have been Keeler’s first inn?” If the Morton House was an ever an inn, it likely didn’t function simultaneously with the Keeler Inn: the two buildings were less than 600 feet apart. Luedtke goes on to state that “there was another hotel in East Colborne, the Hayes House, which burned down in 1852 and was, according to the Cobourg Star, rebuilt ‘in a much more magnificent style’ in 1853, to become ‘one of the largest and best furnished houses in the country’”. This one is a complete mystery. Other than the Luedtke article not a single reference to such a hotel has been found, which is odd if it was “one of the largest and best furnished houses in the country”. Does “country” mean in Canada, or just in the surrounding “country”? Why would such a supposedly large and well-appointed hotel be in such a (no offense intended) minor spot as East Colborne? 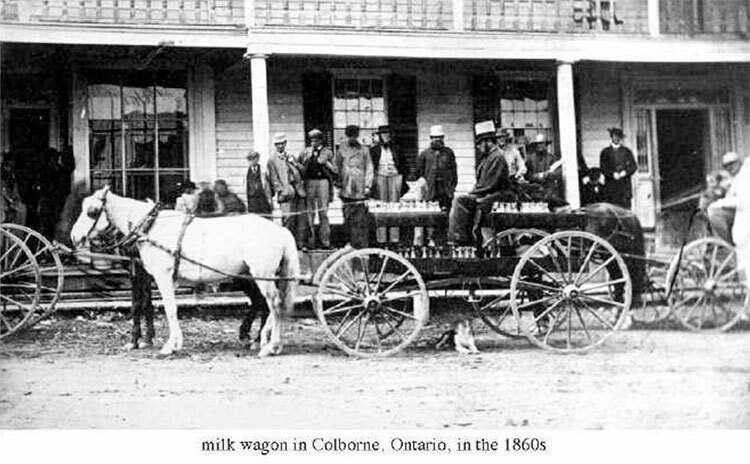 No one named Hayes owned any property in East Colborne, or Colborne proper for that matter, in the 1850’s, but there was the Colton and Hayes General Store in Colborne in 1851 and Argyris refers to a “J. D. Hayes” who was instrumental with Joseph Keeler in setting up the first bank branch in town in 1856. What is known about each of the Colborne Hotels is summarized as follows. Though discussed separately, some of these may actually have been the same establishment. For instance, there is a good chance that “Royal Stage House”, “Northumberland Exchange”, and “Marion” were a series of names for the same hotel. Unfortunately, there is no proof of this. Sidney McDonald (ca. 1817-ca. 1862) was the long-time proprietor of the Colborne Hotel and the “Mrs. McDonald” cited as a proprietor in early gazetteers was undoubtedly his wife Elizabeth (ca. 1825- ?). 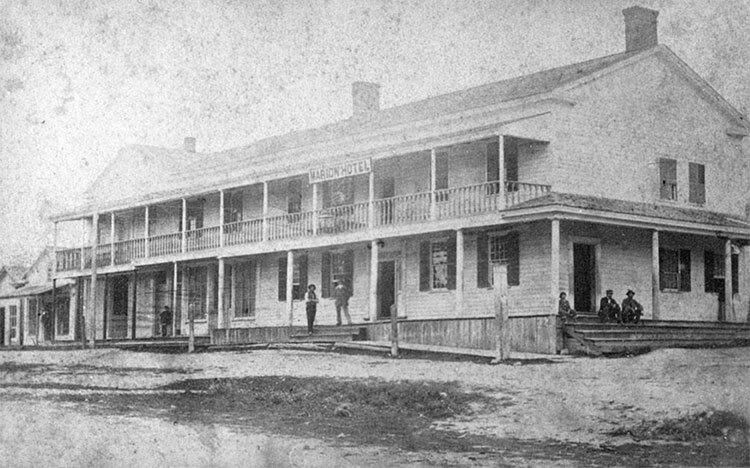 The location of this hotel can be pinpointed because a Land Office record from 1863 describes a property in Colborne as involving “the tavern stand and premises situate in the Village of Colborne part of Lot 32 in the second Concession of the township formerly occupied by one Sidney McDonald since deceased”. This record was describing Reid Lot 84 on the northeast corner of Toronto and Church streets, where a convenience store now stands. Figure 5 shows an old photograph of that corner, and there is no reason to doubt that the building in the foreground was the hotel run by the McDonalds. The 1851 and 1853 Directories don’t mention the name of this hotel. A caption on the Cramahe Archives photo suggest that it depicts the Northumberland Exchange Hotel, but it doesn’t indicate where this idea came from. In later directories the McDonalds’ hotel is invariably called the Colborne Hotel and is listed independently of the Northumberland Exchange Hotel (see below). It is uncertain exactly when the Colborne Hotel came into existence, but it can be dated back at least to 1838. There was an article in the Cobourg star in 1841 reporting a meeting held at the “Colborne House” where “Mr. Yerrington” was the landlord. There is another article from the same newspaper dated 1838 reporting a meeting at “Yerrington’s Inn”. Presumably these were the same establishment, and the “Colborne House” was the same as the Colborne Hotel. Also, Sidney McDonald can be placed there there as early as 1848 as per a Cobourg Star article reporting a meeting at “McDonald’s Hotel”. “Mr. Yerrington” was Albert Yerrington (?-? ), who appears in Colborne records up to 1848. Perhaps 1848 was the year that McDonald took over running the inn. In the 1857 Lovell’s Canada Directory, Sidney McDonald was still the proprietor of the Colborne Hotel. He is also listed as such in the 1861 census and the 1862 Grand Trunk Railway Gazetteer. Mitchell’s Canadian Gazetteer for 1864 lists the Colborne Hotel, but by this time Sidney McDonald was dead and the hotel was managed by his widow, Elizabeth (“Mrs. E. McDonald”). By 1869 (Ontario Gazetteer and Directory) Henry Hicks (1832-1930) was in charge of the hotel, which the Gazetteer that year referred to as the “Hicks Hotel”. 1871 records are a bit confusing. In Lovell’s Ontario Directory for that year, Hicks is listed as the proprietor of the Colborne Hotel, but the Directory places the Colborne Hotel on Division Street, not at the corner of Toronto and Church. In the same Directory, Jonathan Wolfraim (1835-1878) is listed as being associated with an unnamed hotel on Church Street. If we don’t want to hypothesize a second hotel on Church Street, it would appear that Jonathan Wolfraim was associated with what we have until now called the Colborne Hotel. But the Directory lists Hicks as the proprietor of a Colborne Hotel on Division Street. Hicks couldn’t have used the name if the hotel at Toronto and Church was already called the Colborne Hotel, so either the latter hotel had changed its name (perhaps to Windsor Hotel? See below) or the Directory was mistaken about Division Street and Wolfraim and Hicks worked together. Hicks would later (see below) be the proprietor of the Windsor Hotel on the same site as the Colborne Hotel, so the Division Street reference is probably in error. Henry Stickle, proprietor of the above accommodation and eligibly situated house, having now completed his arrangements, begs to inform the public, that he has fitted it up with a view and determination of affording to travellers and others who may extend him their patronage, a convenient and desirable resting place, where they may at all times find themselves surrounded by, and in command of every comfort and enjoyment that the most assiduous attention, civility, and the best of cheer can assure them. His sleeping accommodation will be found to be of the first order, and his wines, liquors, etc. having been selected especially for him by a gentleman of acknowledged taste and judgment, can be recommended as of superior excellence and cheapness—The proof of all of which he respectfully solicits them to make early trial of. Henry Stickle (1804-1880) bought the northeastern part of Reid Lot 151 from Joseph Abbott Keeler (1788-1855) in 1827. This was the land on which the Golden Rooster restaurant now stands. This announcement is signed James Ladner. The announcement is interesting not only because it indicates a change in proprietorship, but because the phrase “he solicits a share of public patronage” suggests that other accommodations existed in town at the time. Was this just a reference to the Keeler Inn half a mile away, or was there another hotel in Colborne in 1834? Perhaps the Colborne Hotel, which was definitely present only four years later? Also, the phrase “east end comfort” catches the eye. Was this a slang phrase of the period? “Occupied by Mrs. Ladner”. Apparently her husband had died by this time. There is no information available about the hotel between the time it was run by the Ladners in the mid 1830’s and the time it was run by Cassius Fisk in 1851. In the 1857 Lovell’s Canada Directory, the Mansion House Hotel is mentioned, Robert Leith (ca. 1812-1879), proprietor. Cassius Fisk had died in 1852. Robert Leith had been managing the Enniskillen Hotel in Cobourg in 1851. The temptation is to suggest that Leith took over the Mansion House Hotel after Fisk died, but this is just conjecture. There might have been others involved between 1852 and 1857. Leith continued to manage the Mansion House in 1861 (census), 1862 (Grand Trunk Railway Gazetteer), 1864 (Mitchell’s Canadian Gazetteer), 1869 (Ontario Gazetteer and Directory), and 1871 (Lovell’s Ontario Directory). The 1871 Lovell’s Ontario Directory is the last mention found of the Mansion House Hotel. The next available directory was the 1882 Lovell’s Ontario Directory. It does not include the Mansion House. Perhaps the hotel folded when Robert Leith died in 1879? The location of this one is a mystery. “Mrs. Haight”, the proprietor mentioned in the 1851 gazetteer, was Levina Haight (née Shaver, 1803-1891). In 1851 she was a widow living in Colborne with her six children and working as an innkeeper. The 1851 census indicates that her inn was of wood-frame construction but it doesn’t say where it was. An attempt was made to place it by looking at the surrounding names in the census, hoping that the census-takers worked from house to house. Levina and her family are listed at the top of a page in the census, and at the bottom of the previous page are people living in the Salem area. Immediately below the Haights, and on the same page, are two young men listed as labourers and an 18 year old Irish girl, all of whom probably worked for Mrs. Haight in her hotel. Immediately below them was Joshua Moffatt Teasdale (1816-1890), a Colborne businessman who at the time was a partner in the Goslee and Teasdale General Store. He was clearly a Colborne resident, but it is unknown where he lived or worked in town in 1851. A few years later he would buy some property a few houses up along Percy Street from the Colborne Hotel, but that doesn’t mean much. Interestingly, in 1852 Teasdale married Mrs. Haight’s daughter Marinda (1832-1924). There are three documents in the Colborne Women’s Institute Scrapbook (one handwritten and two typed) which indicate that a Mr. Haight at one time ran a store just east of the site of the future Queen’s Hotel on the south side of King Street. This was undoubtedly Levina Haight’s husband Milo (1803- 1841). The name of his store, according to the Scrapbook documents, was the Northumberland Exchange. This was probably the source confusion concerning the photograph of the Colborne Hotel labelled as the Northumberland Exchange Hotel (see above). If there was a hotel in Colborne in the early 1850’s named the Northumberland Exchange Hotel, it was surely the hotel run by Milo Haight’s widow, and not the one at Church and Toronto streets run by Sidney McDonald. Peter Huffman (1805-1889) was listed as a hotelman in Colborne in 1861, Belleville in 1871, Toronto in 1877, and Napanee in 1881. It is unclear where his hotel in Colborne was, but it is interesting that in the 1861 census his family follows immediately after that of Joshua M. Teasdale, the husband of Levina Haight’s daughter Marinda. This may suggest that Huffman took over running Mrs. Haight’s hotel. The 1861 census places Levina Haight in Sidney, Hastings County. Also suggestive is the fact that Huffman was running an unknown hotel in 1861 but wasn’t listed in the 1862 Gazetteer, while John McHugh (c. 1825-?) was running the Marion Hotel in the latter year. This looks like the hotel run by Levina Haight, then Peter Hufmann, may in fact have been same establishment as the Marion Hotel, taken over by John McHugh in 1861-1862. This is by no means certain, however. The subscriber having rented the premises lately occupied by Mr. Ford, as a tavern stand, in the village of Colborne, begs to inform his friends and others, that he has made such arrangements as will insure to the travelling public every comfort and convenience; and the House has been fitted up anew and it will be his business to see that nothing shall be wanting to merit a share of public patronage and support. The announcement is signed John Delery. No further information has been found about him. The “Mr. Ford” referred to was Gilbert Ford (1789-1872), who continued to live in Colborne for the rest of his life, though not as an innkeeper. There are two Cobourg Star articles that date his tenure as an innkeeper. One is the announcement of a meeting in “Ford’s Hotel” in 1835 and the other is an 1841 article about the inquest concerning a man found dead in the bar of “Ford’s Inn”. Since it is known that Ford was running his hotel at least from 1835 through 1844, it is clear that his hotel couldn’t have been either the Colborne Hotel (run by Albert Yerrington in 1839) or the Mansion House Hotel (run by Mrs. Ladner in 1836). Could it have been the same hotel later run by Mrs. Haight? The articles that refer to Milo Haight’s Northumberland Exchange provide no dates, but Haight died in 1841. Either the hotel was taken over by Mrs. Haight sometime after John Delery owned it in 1844, and she changed the name to the Northumberland Exchange Hotel after the store her husband had run and she perhaps still ran, or the two hotels were different entities and Delery’s hotel was no longer functioning by 1851. Yet another Cobourg Star article, this one from 1841, states that there were three “taverns” in Colborne at that time. It is known from the above discussion that the Colborne Hotel, the Mansion House Hotel, and the Colborne Royal Stage House were present, so, if the 1841 article is accurate, the Northumberland Exchange Hotel didn’t yet exist as a separate entity. “How Firm a Foundation” (Argyris 2000) suggests that the photograph in Figure 5 shows the Marion Hotel, and hence places the Marion at the corner of Toronto and Church Streets. However, Figure 6 shows two photographs of the real Marion Hotel (as proved by the sign visible in the first photograph in the figure), and it is not the same building. Note that the veranda roof is throwing a shadow on the wall. This means that the sun was shining on the sides of the building facing the photographer. Since Colborne is in the northern hemisphere, the sun arcs to the south and so one of the two sides of the building in the photograph (both of which show shadows) must be the south side. This puts the building on the north side of the street. If the long side is the south side, then the short side is to the east and the photograph was taken in the morning. If the short side is the south side, then the long side is to the west and the photograph was taken in the afternoon. It makes a lot more sense for the long side of the building to face the main thoroughfare, which is known to have been King Street. Besides, if the short side was facing King Street, the long side would have to have been along a side street, of which there are only two on that side of King Street: the streets now known as Maybee Lane and Victory Lane. Neither is long enough to account for the length of the building plus the two buildings visible beyond it in the photograph. Since it can therefore be determined that the long side of the building in the photograph faced King Street, the short side is facing east. It appears to be facing a street as well. Again, there are only two side streets on the north side of King Street in downtown Colborne: Maybee Lane and Victory Lane. Immediately west of Victory Lane is, and was then, the Presbyterian Church. Therefore the street in the picture must be Maybee Lane (though it may not have been called that at the time), and this means that Argyris was correct: the hotel stood on Reid Lot 158, the site of the later Simmons Block. This means that the wooden buildings in the distance were on Reid Lot 157, later the Keeler Block and now taken up mostly by Downey’s Drug Store. Victoria Square would be visible along the left edge if the photograph extended a little farther in that direction. Reid Block 158 was owned by Joseph Abbott Keeler (1788-1855) in 1851. He turned it over to his son Joseph Keeler (1824-1881) in 1854, along with most of the rest of downtown Colborne. The younger Keeler sold Block 158 by itself to his cousin by marriage, Allan Taylor Maybee (1812-1886) in 1859. Since the Lot was taken up by the hotel, this essentially means that Keeler sold the Marion Hotel to Maybee, who was the owner as of the early 1860’s. Maybee, however, was a storekeeper, and not a hotelman. In fact Maybee’s store is thought to have been immediately across Maybee Lane (or whatever it was called then) to the east. This would have been just off the right side of the first photograph in Figure 5. Another bit of information, just to add confusion: according to a note written by Mrs. Gordon McGregor in 1958 and included in the Women’s Institute Scrapbook, the hotel that burned down and was replaced by the Simmons Block was the Globe Hotel. If this is accurate, the Marion must have changed its name by 1882. John McHugh was listed in the 1861 census as a hotel keeper and later gazetteer entries indicate that his hotel was the Marion. Oddly, John McHugh and the Marion Hotel are not mentioned in Mitchell’s Canadian Gazetteer for 1864. This is odd because they reappear in 1869 (see below). The 1864 Gazetteer does, however, list B. Brown as proprietor of “Brown’s Hotel” on King Street. This was probably a glitch in the proprietorship, and perhaps the name, of the Marion Hotel, although of course there might have been another, short-lived, hotel in town. But then, if so, why was the Marion not listed in the gazetteer? McHugh is listed as the proprietor in 1869 (Ontario Gazetteer and Directory) and 1871 (Lovell’s Ontario Directory). By the 1881 census, his occupation was listed as “farmer”. He was also involved in the ownership of the Temperance Hotel in Castleton (see above). Peter Snider (1841-1883) appeared as a hotel keeper in Colborne in the 1871 census and in his daughter’s birth record in 1879. He was listed as following the same profession in Brighton in the 1881 census. There is a list in the Women’s Institute Scrapbook headed “patrons’ directory”, probably from sometime in the late 1870’s, that has Peter Snider as the proprietor of “Snider’s Hotel”. The fact that Snider appears and McHugh disappears from the 1871 census might suggest that Snider may have taken over the Marion Hotel that year. Unless this is true, the “Snider Hotel” was a separate, and apparently short-lived, entity. The 1861 census lists Edward Hart (ca. 1819-1883) as the manager of a hotel. This was the Grand Trunk Hotel. Various later gazetteers list the location of this hotel as at the “depot”, on Division Street, and on Earl Street. The Grand Trunk Railway went into operation in October 1856. Obviously, Grand Trunk Hotel was built close to the new Grand Trunk Railway station, hence its location at the “depot” in at least one gazetteer. If the records placing it on Division Street and Earl Street are both accurate, it must have been at the intersection of the two streets. At one time or another, much of the land along Earl Street north of the Station was owned by Hart’s wife Letitia (née Batchelor, ca. 1830-1889), but the first of these wasn’t purchased until 1863. Before that the land in this area was owned by the Commercial Bank of Canada (east of Division Street) and Norman Bennett (west of Division Street). 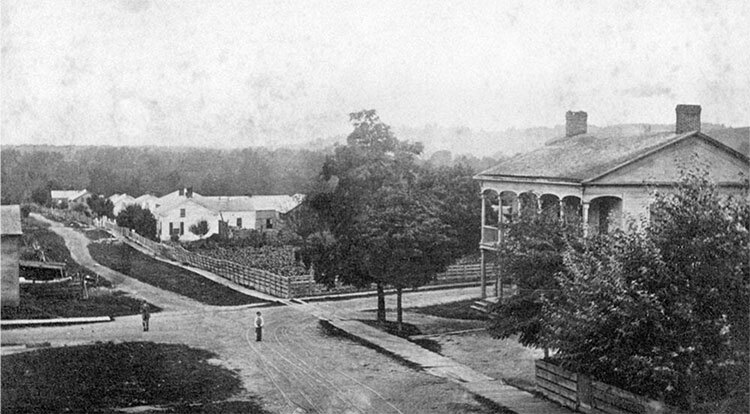 The property purchased in 1863 is indeed at the corner of Division and Earl, and is where 91 Division Street now stands. This house was probably originally the hotel. It is illustrated in Figure 7. Hart continued to be listed in gazetteers and directories until his death in 1883. By the 1885 Lovell’s Ontario Directory, J. S. German had moved from the Windsor House to the Grand Trunk Hotel. The last mention of the Grand Trunk Hotel as a hotel was in 1887, when it was being run by Letitia Hart (ca. 1831-1887). Perhaps it went out of business with the demise of the Harts. There is a list in the Women’s Institute Scrapbook headed “patrons’ directory” that contains the earliest mention yet found of the Windsor House Hotel. Unfortunately, this list doesn’t say what the patrons were patrons of, and it isn’t dated. However, each patron is listed with the year of their arrival in the township, and the latest such date is 1877. This suggests that the list was compiled sometime in the late 1870’s. 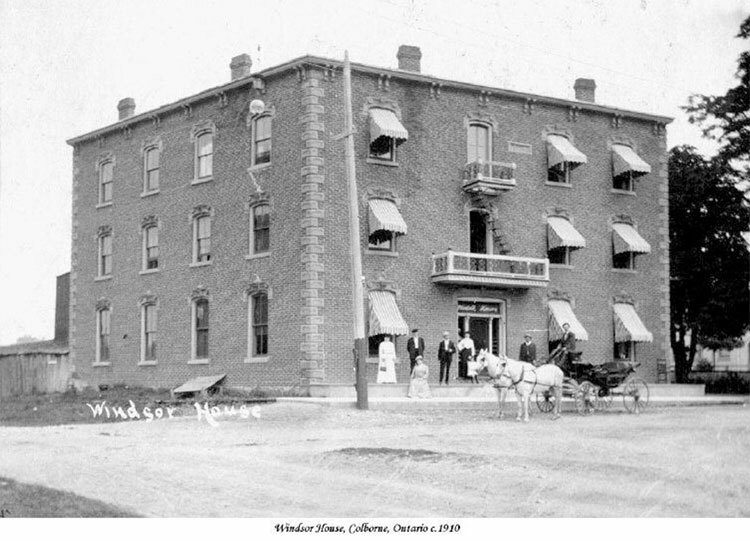 The Windsor House Hotel (Figure 8) sat at the northeast corner of Church and Toronto streets, and occupied the same land as the Colborne Hotel had occupied since the 1830’s. 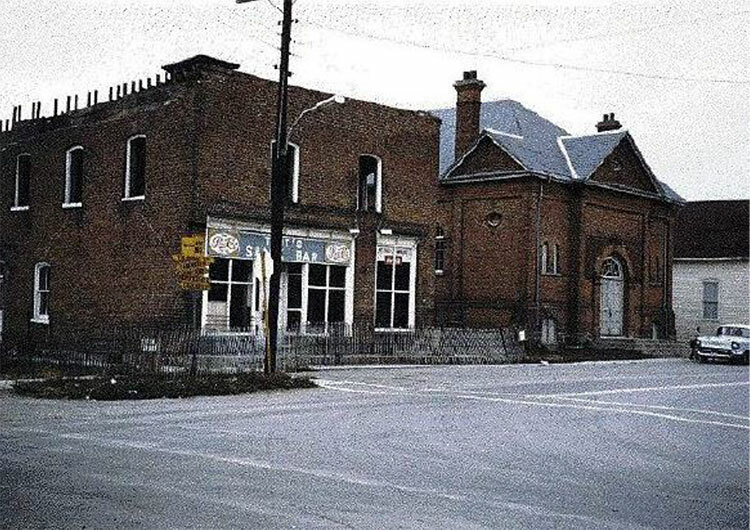 The latest use of the name “Colborne Hotel” that has been found was 1871, so apparently the wooden Colborne Hotel was demolished and the brick Windsor Hotel erected sometime in the 1870’s. Henry Hicks, discussed above as associated with the Colborne Hotel since at least 1869, was the proprietor mentioned in the “patrons’ directory. By 1882 he had moved over to the newly built Brunswick Hotel (see below) and proprietorship of the Windsor House went to J. S. German (?-?). By the 1885 Lovell’s Ontario Directory, J. S. German had moved from the Windsor House to the Grand Trunk Hotel. Proprietorship of the Windsor House Hotel had passed to Thomas Albert German (ca. 1865-1887). George Broomfield (1854-1929) was the proprietor of the Windsor House in 1895, and the 1900 telephone directory listed him there as well. Other references exist to his being a hotel keeper in 1894, 1896, 1899, and 1901. Unlike most other hotel keepers, he actually owned the land on which the Windsor House stood, having purchased it from the Canada Permanent Loan and Savings Company in 1899. He sold it to James Coyle in 1904, but there is a letter in the Cramahe Archives that continues to list his address as Windsor House Hotel in 1905. He probably stayed on to run the hotel after selling it to Coyle, probably until 1909. George Broomfield’s daughter was married to Ziba Harnden, who ran the Temperance Hotel in Castleton for a time (see above). According to Land Office records, Clifford Palmateer (1858-1930) ran the Windsor Hotel from 1909 to 1916. He sold it to farmer Thaddeus Dingman, and Dingman listed himself as a hotel keeper when he sold it to jeweler Albert Sayer later that same year. As discussed above, the Marion Hotel burned down and was replaced by the Brunswick Hotel (Figure 9) in 1882. Henry Hicks, who had run the Colborne and Windsor Hotels (see above) was the proprietor of the Brunswick when it was built. By the 1885 Lovell’s Ontario Directory, the Brunswick Hotel was run jointly by Henry Hicks and Spence Ventress (ca. 1840-1899). They continued to run the hotel jointly in 1887. By 1889 they were joined by Daniel Hicks (1865-? ), Henry Hicks’ son. The 1893 Ontario Directory lists only the Hicks’ as proprietors, without Ventress. Interestingly, in the 1891 census, two years before the 1887 Directory, only Daniel Hicks is named as a hotel operator. His father’s occupation is listed as “auctioneer”. The address for George Lewis Schaffer (1856-1917) in the 1911 census was 158 King Street, so obviously he was another manager of the Brunswick Hotel, which sat on Reid Lot 158. The 1900 telephone directory places him there as well, as does a Land Office record from 1912. He is listed as a hotel keeper in the 1901 census. Frederick Wolfraim was listed in the 1921 census as a hotel keeper. This was Frederick James (or James Frederick) Wolfraim (1872-1958), who had served as an artillery major in World War 1 and apparently went into the hotel business after the War. The census, as usual, doesn’t mention his hotel by name, but it does give his address as King Street. Argyris says that the Brunswick Hotel was also called the Wolfraim Hotel, “after a former owner”. Presumably this former owner was Frederick Wolfraim. The first mention of the Arlington Hotel was in the 1882 Lovell’s Ontario Directory. The proprietor in 1882 was James A. Kelly (ca. 1851-?). It is not certain where the Arlington House was, but it likely was where the Queen’s Hotel now stands (Figure 10). No strong evidence for this has been seen, but there was a hotel on the site (called the Bristol) in 1896, and an advertisement for the hotel that year said “house refurnished throughout”. This suggests that the hotel had to have been there long enough for the furnishings to wear out. Fairly weak reasoning, but the alternative is to hypothesize two new hotels on King Street in the 1880’s and 1890’s, one of which since went defunct. The Queen’s Hotel sits on Reid Lot 241A. In 1882 this property was owned by Mary Jane Cameron (ca. 1846-1929), wife of commercial traveller Charles Page Cameron (1841-1890). By the 1885 Lovell’s Ontario Directory, the Arlington House was the bailiwick of Ralph Lawrence (?- ?) and in 1889 it was run by Thomas E. Shipley (?-?). Shipley doesn’t appear in any Colborne census, so he must have come and gone between 1881 and 1891. Records have been found of a number of Thomas Shipleys in various places in various years about this time, but none of them can be tied definitely to the one who ran the Arlington House. The Arlington House Hotel was called the Bristol in 1896 (see above) and Colborne’s first telephone directory (1900) also referred to it as such. The hotel was called the Alexandra in 1929, as per a photograph of that date, and it was the Queen’s Hotel by 1934 as per a map of that date. It is unclear exactly when these names changed. Mrs. Gordon McGregor in a 1958 document in the Women’s Institute Scrapbook, says that the hotel was called the New Bristol between the names Alexandra and Queen’s. Joshua Teasdale and Marinda Haight, and therefore the grandson of Levina Haight, the onetime proprietor of the Northumberland Exchange Hotel (see above). Owen Healey (1861-1908) and William Healey (1860-1932) are listed as hotel keepers in the 1901 census. The 1900 Colborne telephone directory lists Owen as the proprietor of the Bristol Hotel. The 1901 census lists William as Owen’s brother. Presumably he didn’t work in a different hotel. Owen Healey was still a hotel keeper when he died in Cobourg in 1908, but his death record doesn’t indicate whether he was living there at the time. Harry Dennis Whitney (1881-1963) was a hotel keeper living at 241A King Street as of the 1911 census. This was the site of the Bristol Hotel (or perhaps it was called the Alexandra by then). Finally, Thomas Padginton (1866-1932) is listed in Land Office records for 1920 and 1921 as a hotel keeper. Padginton sold Reid Lot 241A to H. Serson (?-? ), also a hotel keeper. Padginton was the brother of famous Colborne resident Eliza Jane Padginton (1862-1961). How Many Hotels were there in Colborne? 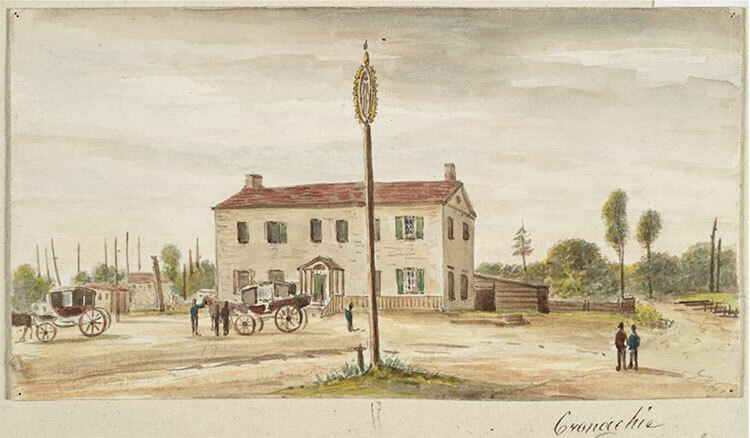 East Colborne was the home of the Keeler Inn from about 1817 perhaps until about 1844. The exact dates are uncertain. The Morton House may also have been a hotel at one point, but the evidence for this is very weak. Then there is the mysterious Hayes House, the only evidence for which is a 1984 newspaper article quoting an 1853 newspaper article. 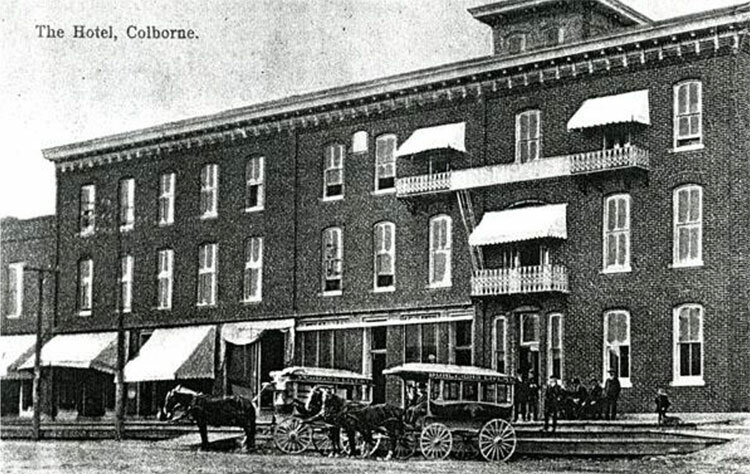 The Colborne Hotel, which functioned from the 1830s into the 1870s. It was on the northeast corner of Toronto and Church streets. It is was referred to here and there as “Yerrington’s Inn” and “McDonald’s Hotel” and “Hicks Hotel”, although probably none of these names was ever official. The Colborne Hotel was demolished in the 1870s and the Windsor House Hotel was built on its site. The Mansion House Hotel opened in 1832 and functioned until about 1879. Located across Toronto Street from the market square (now Victoria Square), where the Golden Rooster Restaurant now stands. The Marion Hotel. It is not certain, but this was probably the same hotel as the earlier Colborne Royal Stage House and the Northumberland Exchange hotels. If so, it dates back to the 1830’s. It was also at times called Brown’s Hotel, the Globe Hotel, and probably the Snider Hotel. It was located on the northwest corner of King Street and Maybee Lane. It burned down in 1882 and was replaced by the Brunswick Hotel. The Grand Trunk Hotel. 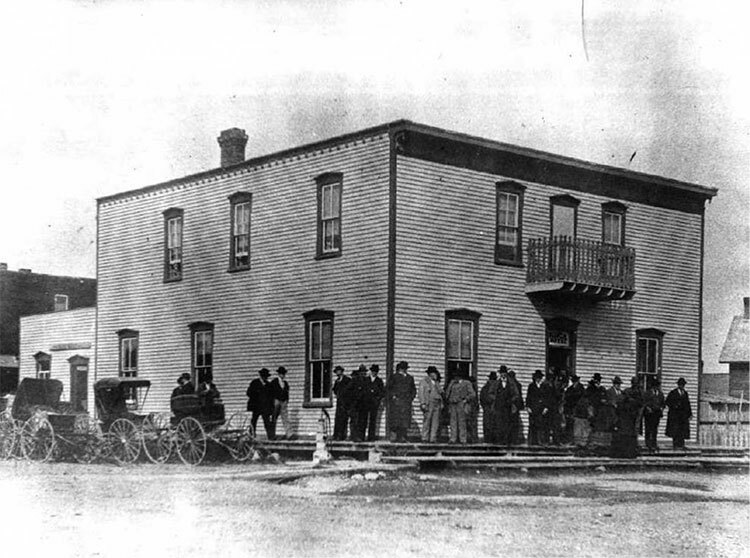 This hotel came into existence soon after the Grand Trunk Railway went into operation in 1856. It probably ceased to be a hotel about 1879. It was on the southeast intersection of Earl and Division streets. The Windsor House Hotel. Built on the site of the Colborne Hotel in the 1870’s. The Brunswick Hotel. Built on the site of the Marion Hotel in 1882. The building still exists. records in 1882. It changed names several times (Arlington, Bristol, Alexandra, New Bristol, and Queen’s). It remains the Queen’s Hotel to this day. 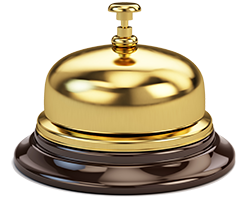 All that being said, there are several references to hotels that are unclear. The first of these is, obviously, were the Royal Stage House Hotel, Northumberland Exchange Hotel, and Marion Hotels really the same establishment? The 1842 Cramahe census lists seven innkeepers in Cramahe Township. These were Albert Yerrington, Gilbert Ford, Justus Ingram, Isaac Welton, Ira Hodges, Henry Squire, and T. H. Ketchum. Unfortunately, the census doesn’t list their places of residence or places of employment. Hodges, Welton, Yerrington, and Gilbert can be at least tentatively pinned down to early hotels in the Colborne area (see above), but the others are obscure. The identity of Henry Squire (or Squires?) is uncertain, but he may have been the same Henry Squire(s) (1816-?) who was a merchant in Brighton in 1851 and 1871 and a temperance lecturer in 1871. Might he have been associated with the Temperance House in Castleton? T. H. Ketchum may have been Thaddeus H. Ketchum (1803-1868), who resided in Colborne in 1833 and was listed as a farmer in Brighton Township in 1851 and 1861. Nothing has been found about Justus Ingram. The hotels we know were probably present in 1842 were the Temperance Hotel in Castleton; the Keeler Inn in East Colborne; and the Mansion House, Colborne, and Royal Stage House Hotels in Colborne. The contemporary names of some of these hotels in 1842 are a bit uncertain, and there may have been other hotels for which no 1840’s-era reference has been found. Any of these men might have been associated with any of these hotels. Alternatively, the western part of Brighton Township was part of Cramahe Township until 1851, and some of these men might have resided there and not in what is now called Cramahe Township. In an 1893 Directory John Hennessy was listed as a hotel operator without reference to which hotel. Nothing else has been found about him. There are too many John Hennessys in Ontario in the late 1800’s (eight have been found in 1891 censuses alone, none of them listed as hotel keepers). Hennessy appears in no Colborne census. Also in the 1893 Directory is a listing for “James McIntosh and Bro., hotel”. James McIntosh (ca. 1855-?) was also listed as a hotel keeper in the 1891 census. The brother referred to in the Directory was undoubtedly George A. McIntosh (ca. 1857-? ), who appears in the 1891 census with James. Neither has been found for certain in other references: the names “James McIntosh” and “George McIntosh” are very common. Noah Dickinson Snetsinger (1840-1915) was a Colborne businessman, listed in most references as a grain dealer, who appeared in the 1891 census as a hotel keeper. Oddly, he also appeared in an 1873 Land Office record as a hotel keeper when he sold Reid Lots 437 and 438 to Letitia Hart. These lots were kittycorner across the intersection of Division and Earl streets from the Grand Trunk Hotel. No reference was made as to which hotel he was associated with and there is no definite indication that he was involved with a hotel anytime between 1873 and 1891.